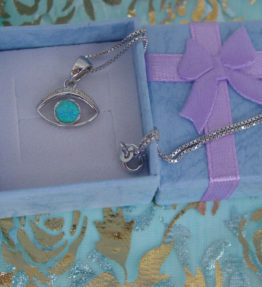 ♦ You will receive many compliments when wearing this necklace so be sure to also wear an evil eye protector!!! 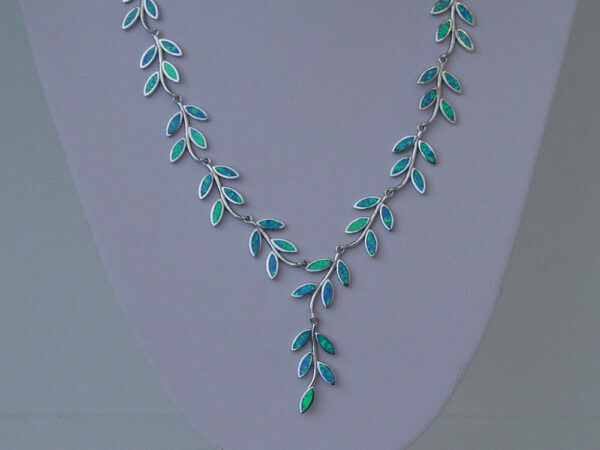 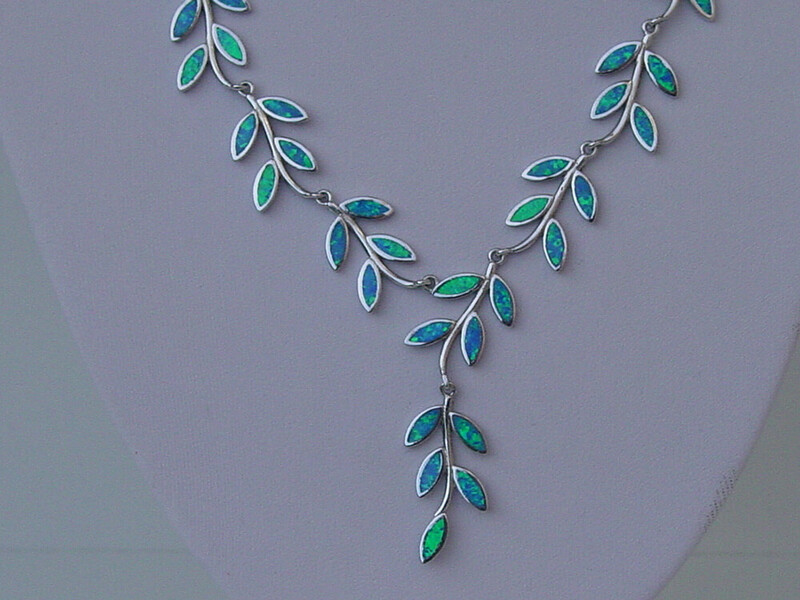 ♦ 925 sterling silver necklace with lovely blue leaves. 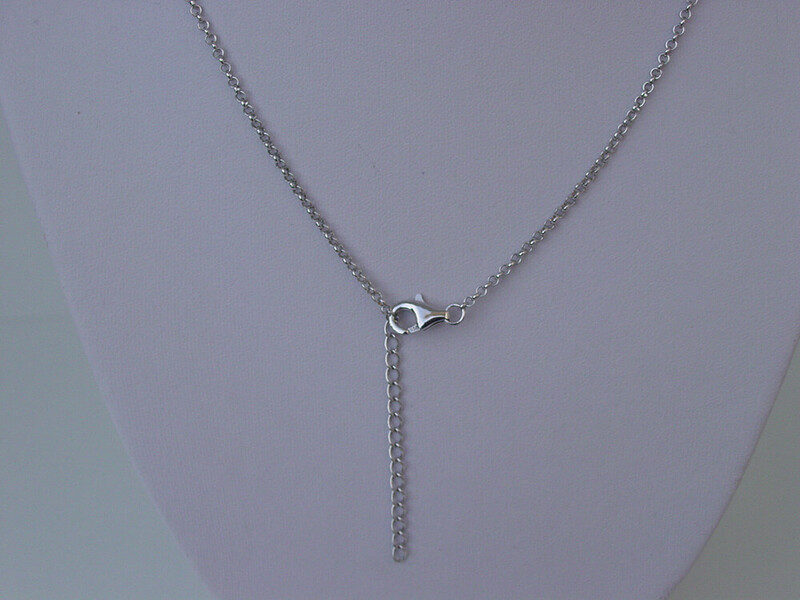 ♦ Measurements: 49.5 cm (19.5 inches) long (approximately) including the 4.5 cm (1.8 inches) extension chain. ♦ Therefore the necklace length can be adjusted between 45 to 49.5 cm (17.7 – 19.5 inches) approximately. ♦ The necklace is made of individual leaf pendants that go around as well as one that drops down adding an elegant style to this piece of jewelry. 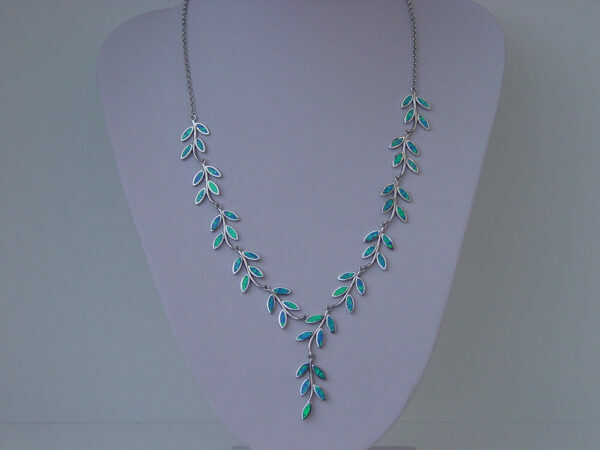 ♦ You can wear this necklace every day or it is gorgeous enough for you to wear on a special occasion. 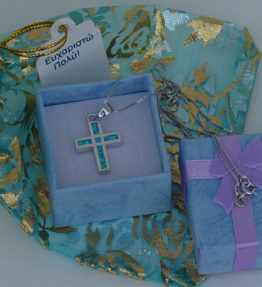 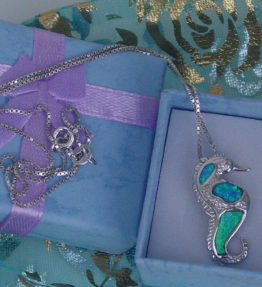 ♦ Your necklace will come in a gift box ready to be gifted.